Catering Menus - Interact Event Productions - Corporate Event Planning at Wholesale Prices! We Serve a Variety of Dishes! Dishes ranging in BBQ, Italian, Kosher and Vegan. We can cater for any number of guests and we offer affordable prices that meet your budget. We allow you to customize your own menu from a large variety of options. 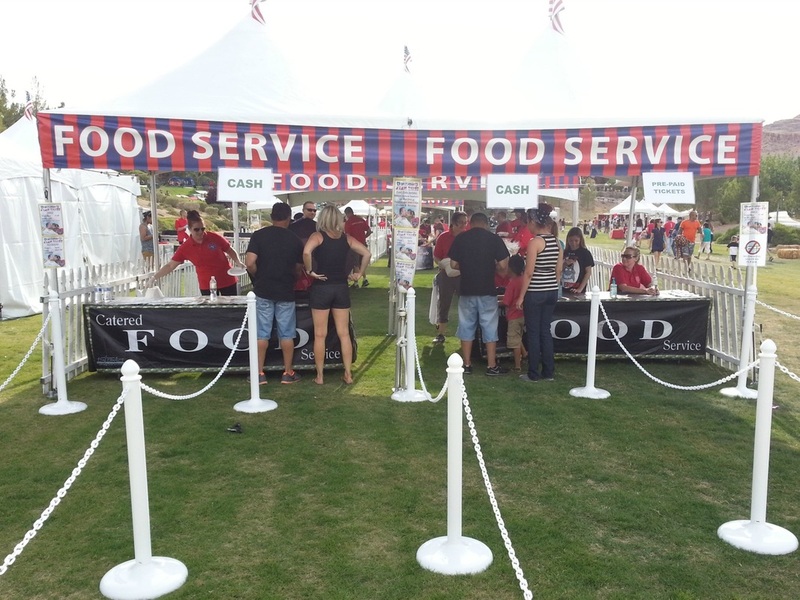 Professional Food Service Signs & Tents Available for an UPGRADE! Professional Booths, Tables, Signs and More Available! Add Our Custom Food Service Tents! All food prices include servers, serving tables, place settings and the heating and warming equipment for the food. A lot of companies add this as an additional charge but we include it all in the food price you see listed. There is a minimum $1,500 purchase required for our catering services. You can add our professional tents, signs, and tables are available for an upgrade. Tables, Tents, Chairs and More! We also rent tables, chairs, tents and other peripheral rentals are available for an upgrade. 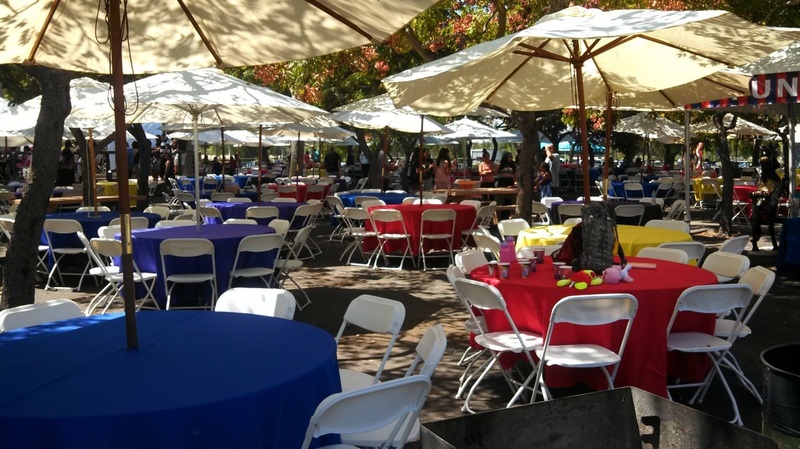 We can cater your whole event and provide all the peripheral rentals like tables, tents, folding chairs, linens and more all for one low price. We have a large inventory and a lot of variety of services. We have linens, folding chairs, tables, umbrellas, and so much more! We can make any event spectacular, indoors or outdoors! We own our entire inventory so we can give you the best possible price! We have a custom beverage station that no one else has. Adding drinks is no problem, we have an entire beverage booth that has custom signs and server included. Your guests will know exactly where to go when they get thirsty during mealtime because of our unique Beverage Bar Booth. Cold drinks are available for up to 1,000 servings! We can offer you the tent, table, server, cups and ice for only $899! Drinks include up to 1000 servings of strawberry lemonade, Iced tea, cola, punch and water. ONLY $899! 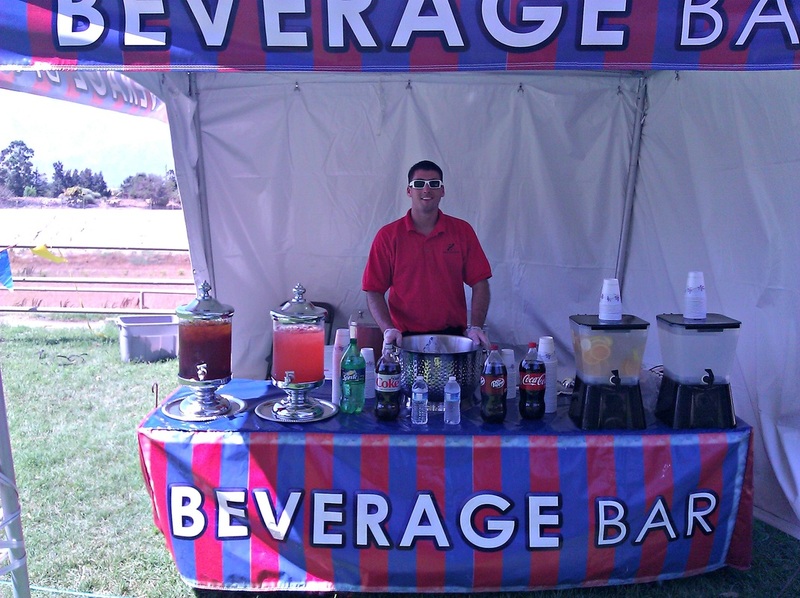 Our beverage bars are the perfect compliment to our food and catering services. We have professional, safety trained staff ready to serve you. Add Fun Food Booths from $699! CLICK HERE to see some of our carnival style fun food booths available for your events. You can upgrade your event with an professional looking fun food booth that comes with a tent, custom signage and attendant!